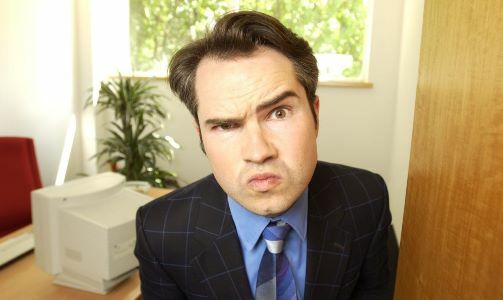 Jimmy Carr will bring his show Gagging Order to South Africa on a three city tour to Durban, Jozi and Cape Town. It promises to be a great night out packed with one-liners and jokes – some clever, some rude and a few totally unacceptable. Over the past 10 years, Jimmy has deservedly earned his place amongst the very best of British comics. His stand-up achievements to date include a British Comedy Award for Best Live Stand Up Tour, a Loaded LAFTA Award for Best Stand-Up and a Perrier Award nomination. Following another stellar year for Jimmy, which saw him host 10 O’clock Live, two new series of 8 Out Of 10 Cats and record his eighth live stand-up DVD, Laughing and Joking released in the UK in November. Having now played to over 1.5 million people on his live tours Jimmy knows a thing or two about making people laugh. But be warned, Just leave your conscience, sense of common decency and moral compass at home and come on out for a laugh. 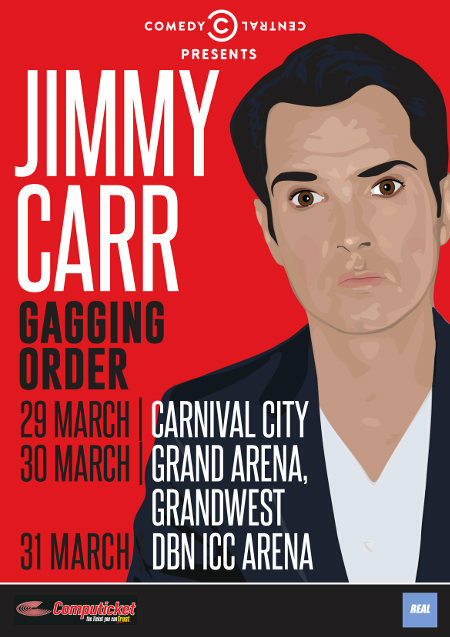 Jimmy Carr will be bringing his new show Gagging Order to Johannesburg on the 29 March at The Big Top Arena at Carnival City, 30 March at Grand Arena in Cape Town and 31 March at the Durban ICC Arena. We’re looking forward to a brand new show, brand new jokes, with the same old Jimmy. The Socialite has two tickets to the Durban show to giveaway to two lucky readers courtesy of Real Concerts. Simply drop us a mail to [email protected] and let us know why you are undoubtedly Jimmy’s greatest fan and two tickets will be yours. Entries close Wednesday 26th March 2014.